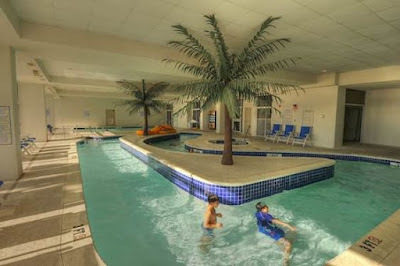 When considering a vacation home in a condo resort, amenities are a key consideration. After all, you work hard all year just so your family can enjoy a few weeks of fun and relaxation and a great condo that offers little isn’t all that great. 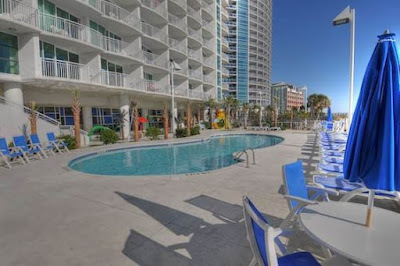 Sandy Beach Resort in Myrtle Beach is a dream vacation resort! 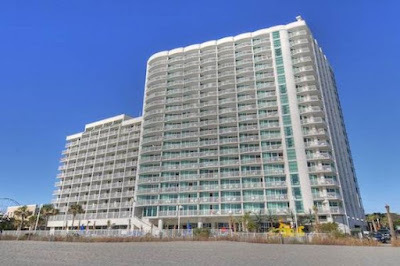 Two incredible oceanfront towers feature elegant 1-3 bedroom condos in an ideal location along the Grand Strand with incredible amenities. 228 units offer things like full kitchens with stainless steel appliances, master baths with Jacuzzi tubs, tiled entryways, and other upscale selections. 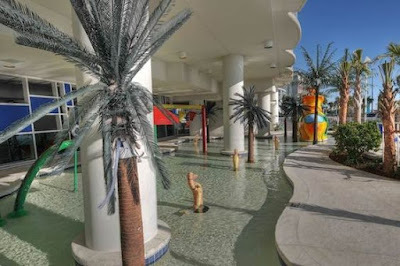 The resort provides amenities to satisfy vacationers of all ages, such as indoor and oceanfront outdoor pools, kids’ interactive pool area, lazy river, a state of the art fitness center, and an oceanfront concierge lounge are just the beginning of a relaxing, fun vacation. If you are a workaholic, there are conference rooms and meeting rooms available. 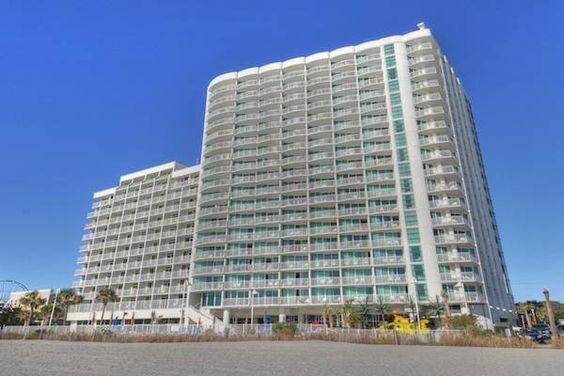 This location is perfect for those who want to take advantage of all that Myrtle Beach offers with easy access to Kings Highway, Highways 501 and 17, and the Grand Strand. Close by you will find all the most popular tourist attraction, like the Myrtle Beach SkyWheel, Family Kingdom Amusement Park, Mount Atlanticus Miniature Golf, Splashes Waterpark, the new Myrtle Beach Boardwalk which stretches out for 2 miles, and much, much more! Not to mention fun eateries like Ali Baba’s, Gigi’s, and Daddio’s Ice Cream, nearby. 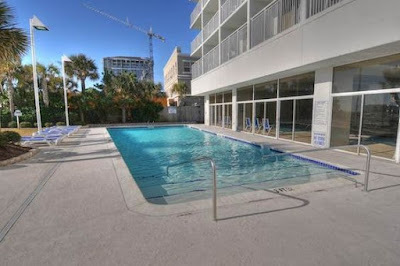 The condos make an excellent family vacation home and should provide a good rental income investment opportunity as well. Visit our website to browse currently available listings and learn more about this resort. Call our real estate professionals to schedule a private tour of the condos for sale in Sandy Beach Resort, today!